This proven line of target shooting ammunition provides performance similar to top loads for a familiar feel and realistic practice. . . with Federal American Eagle you get quality and affordability. This product is brand new, brass-cased, boxer-primed, non-corrosive, and reloadable. It is a staple range and target practice ammunition. This is top of the line, American-made range ammo - it doesn't get any better. I have purchased over 2000 rounds of this ammunition and have used about half of it. My experience with the ammunition is poor. My Glock 42 runs all other brands flawlessly but I have experienced too many FTFs with this ammo. I will not purchase again. These are made by Federal, one of the big name manufacturers. It doesn't get much better than this. Ive never had a problem with AE. The ammo may cost a dollar or two more per 50 box but these have a bit more power for my heavier recoil spring. I only see prices going up up to and through the summer months when demand for 380 is highest. I purchased a total of 2000 rounds of this ammo in three different purchases. The first few boxes were fine and performed flawlessly in my Glock 42 that is well maintained and clean. Then, I experienced 4 FTF in one box. Some of the boxes including the problem box contained ammo that was tarnished or dirty. Not what I expected from Federal. I will be returning to Winchester white box or looking for another default range ammo. Shot at least one - hundred rounds of this American Eagle. JAM Town.// My Sig Sauer .380 was just cleaned and ammo still jammed up. Wont buy this . Going back to PMC or Winchester. The Fed .380 performs as expected, great training ammo, No FTF's after 300 rounds. Value was good in comparison with other suppliers. Did not have any issue and have used around 250 rounds. It is really value for money. Well performing, clean burning ammo. Fast delivery, good price for 380. This ammo works well in my 380. I have had trouble with other brands! Fair priced ammo, shot 200 rounds out of 1000. Service superb, way beyond experienced with any other shopping, online or store. I love Lucky Gunner. Quick service and great prices. This has been great ammo. So far, no misfeeds or misfires. This ammo has run through my Glock 42 with no problems whatsoever. I would recommend to anyone as well as happily buy again. Lucky Gunner is the best place online I have found to buy Ammo. They have competitive pricing and they ship quick. They are great to deal with and this particular ammo I bought American Eagle .380 ran just fine through my Sig Sauer with no Jams or Misfires. Great Lucky Gunner service, again, and great ammunition! I ordered my Kimber Micro Raptor Stainless Steel 380 over the 4th of July weekend and took it out today. Ran 100 rounds through it in just over an hour, only 1 magazine presently, and every round went down range. So trust this ammunition with your Kimber Micro Carry and enjoy your range time. 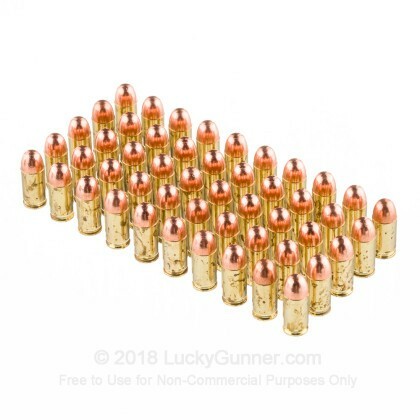 I've never had a single problem with ammo or service from Lucky Gunner, and this order for 1,000 rounds of .380 Federal is no exception. Over the years I've ordered several thousand rounds from them. No worries, mate. Shot around 300 of the 1000 rounds through a Glock 43 with no issues that I could attribute to the ammo. Received my order faster than expected. Ammunition works fine in my Sig P238; should I expect less? This is my second order and I ordered bulk because I have a lot of learning to do. This ammo is excellent. I have had no FTF's in any of my handguns with it. As always my ammo shipped the day I ordered it and was at my door in three days. Order received promptly and quality of .380 ammo is excellent. No issues with 400 rounds used so far! Lucky Gunner delivered quickly. Very pleased with promptness and the price was competitive. American Eagle .380 works well in a Bersa Thunder and Kimber Micro. Bought 1000 rods. for range practice with my new Glock. Shot 500 so far without any issues. Ammo fires and ejects just fine. As far as Lucky Gunner, the best service around. Orders are always delivered quickly and customer service ( if you need it) is 1st class all the way! Great people to do business with. Have ordered previously and will continue to to business with Lucky Gunner! My Kahr 380CW does not like this brand. Many jams and duds. Other brands have performed much better. That said, the Kahr seems to have a reputation of being picky about what it eats. 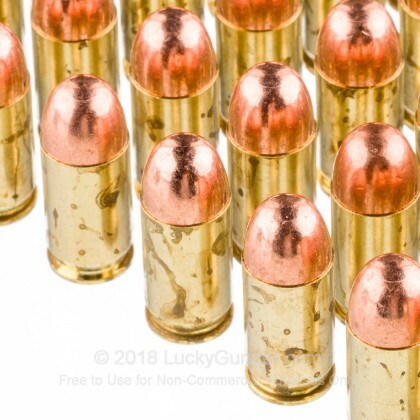 I've placed numerous bulk ammo orders with LuckyGunner and have always received the order when promised and will continue to use LuckyGunner for all my various ammo orders. Good quality material at competitive prices and excellent service. Brand new Smith and Wesson 380 Bodyguard. 1st time target practice (1st time shot). Gun jammed the last round of every magazine using this ammo. I've used this ammo before in other guns and never had a problem. I took the time at the range to clean and lube the gun, same result. I am somewhat confused! 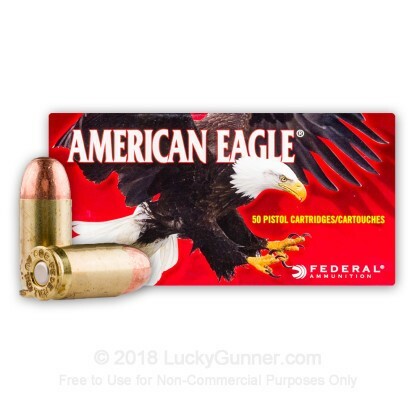 I had started buying all Federal American Eagle Ammo for all my guns due to quality and price. I intend to do more target shooting to be sure it's not the gun. I need to figure this out and know for sure Gun or Ammo. Sadly, We can't be depending on either for concealed carry at this time. Ammo is great for range practice. LG is always great on service. Prices are getting better again but still a little high imo. I now rely on Lucky Gunner almost exclusively for ammo purchases. Service is quick and dependable and prices are reasonable. I've put about 200 of my 1000 round purchase through my Sig P238 without a single problem (including when it really counted - the 50 used to qualify for CHL). Been using AE .38 in my .357 for years and it has always been reliable and clean. Glad to see the same holds true with .380. Good price and great service from Lucky Gunner. Love the instant inventory feedback and quick order turnaround. If they say it's in stock, it's in stock. Standard shipping gets the order to the DFW area in 2 days. I'll be coming back! AE 95 gr ammo is just fantastic. Having occasional issues with my Kimber Micro Carry with another brand I run through my LCP. 500 perfect rounds through my Micro with the American Eagle. Was so happy with the smooth performance I decided to buy 1000 more rounds. Bought 1,000 rounds of AE ammo, and I've shot about 300 through my Sig p238. It's been absolutely flawless. No FTF's FTE's and every round has been as consistent as the morning sunrise. Can't say enough good things about the AE ammo. Also love Lucky Gunner and buy all my ammo here. System works perfectly, shipped fast and delivered to my door. 5 stars all the way. I bought 1000 rds, shot 400, in my picky,picky, picky Kahr P380. Zero failures. Fast shipping, good price, I'll be back for more. Bought another 2000 rounds to replace the first 1000 rounds my wife tore through. Never misfeeds. Never fails to fire. Good brass for reloading if that's your thing. 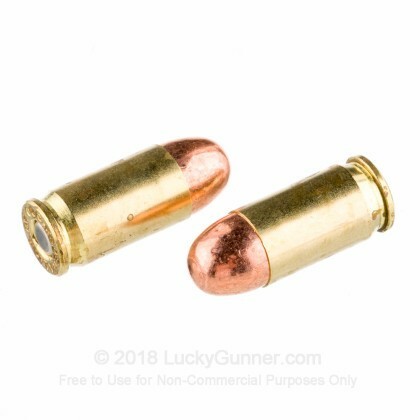 Great value, great practice ammo. Very quick turn around from order to delivery, and was at a great price too. Great price, fast shipping. Not a single issue with ammo. Good product, very good and quick delivery. My recent purchase made a LuckyGunner believer out of me. 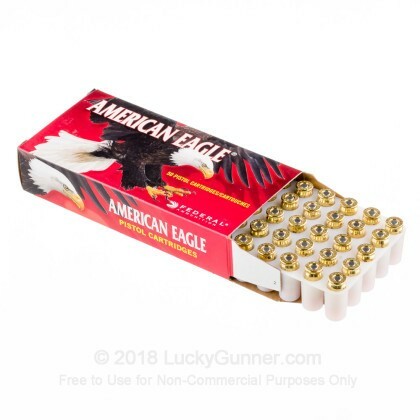 I ordered this ammo and a couple of other products from Lucky Gunner. The order arrived in 2 days as predicted. I'll be back here for more. We went to the range today and fired 150 rounds without a single malfunction with my wife's new pistol. I will order American Eagle again. Quality ammo with exceptional service...what more can I ask? Have used in my somewhat picky Kahr MP-40. Had no problems. Burns clean, good quality and value for the money. Very pleased that I bought in bulk. Great price compared to local gun shops. On my repeat buy list. Q: Have previously taken advantage of the American Eagle rebate. Am I able to do so again? A: The flyer states that, "$400 maximum total rebate amount per person or household..."
We also have this 380 Auto - 95 Grain FMJ - Federal American Eagle- 50 Rounds ammo in stock in a smaller quantity.